Two years ago I shared an Airplane Carry On Packing list. It’s been really popular so today I thought I’d share another version specifically for Cruises. 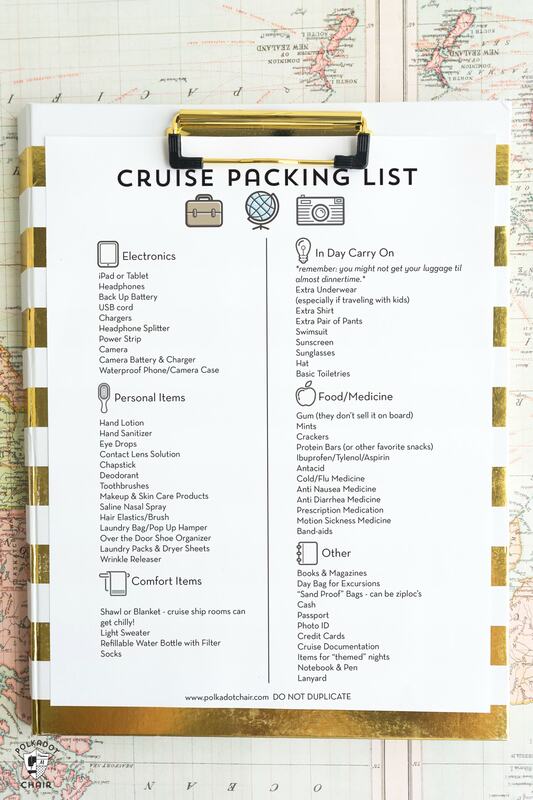 I hope this Printable Cruise Packing List is helpful! Especially if like us, you’re headed out on a cruise for Spring Break! I remember the first cruise my husband and I went on. It was for our 15th anniversary and I was terrified to get on the boat! I had reassurances from so many people that I would LOVE a cruise and just took a deep breath and did it! They were right, we loved the cruise and have been on many since then. We’ve done both Europe and the Caribbean, and I’ve loved both destinations. Our next “to do adventure” is a River Cruise, which I think we will try after the kids all go to college in a couple of years. 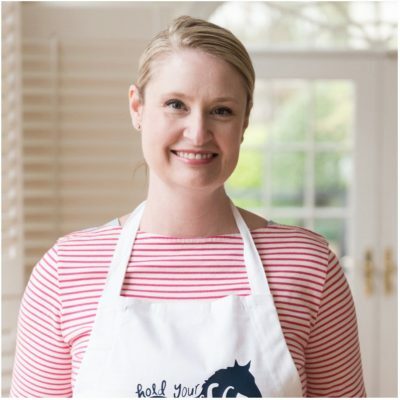 I find they are a great way to travel and can be a good value for families too as all of your accommodations and food are included in the price. 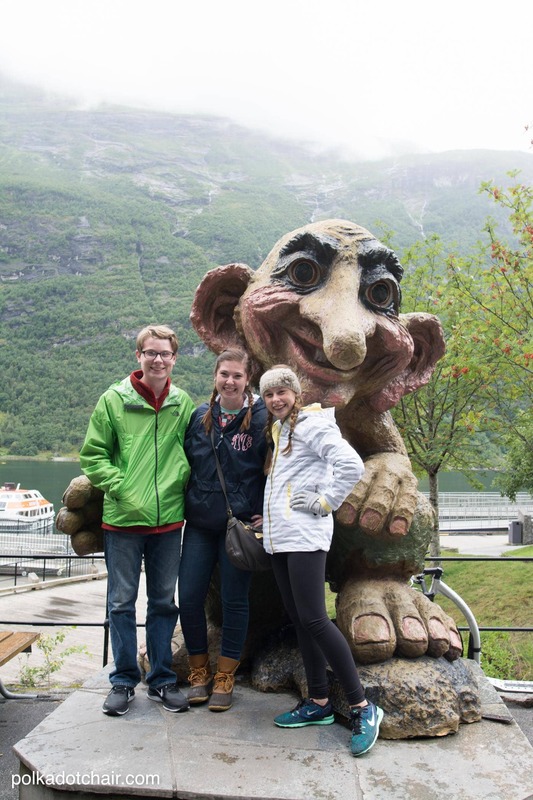 I know that we would not have ever been able to take the kids to Norway for the price we paid for the week on our Norwegian cruise. The food and lodging is so expensive there! We are headed out on a Cruise for Spring Break soon and I was making a list on my phone of things to pack. I realized as I was doing this, that the list might be helpful for others as well. 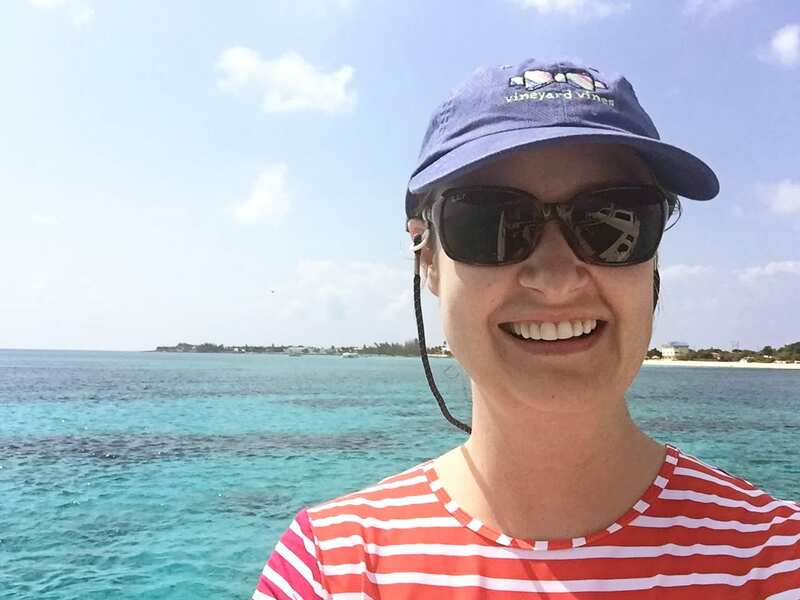 I’ve created a Cruise Packing list with items that you might NOT think to pack. It’s obviously not a complete list as it doesn’t contain clothing items etc. I figured you’d remember to pack your clothes and underwear. I tried to list the things you MIGHT forget, or might not think you need. For example, did you know that there are washers and dryers on cruise ships but the laundry detergent costs an arm and a leg? You can save yourself a bunch of money by packing your own laundry pods and dryer sheets. 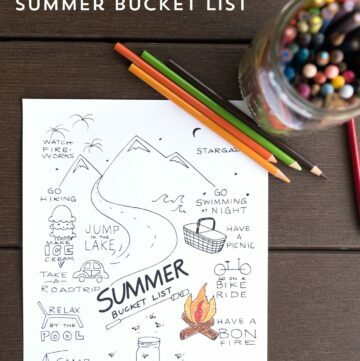 You can grab the Printable Cruise Packing List on the PRINTABLES page. Just look for the photo of the list and follow the directions on the page. This one is especially imporatnt if you’re going on a cruise to a sunny destination. Water and sand can get everywhere and you need to take something to protect your phone and other electronics. You can buy waterproof clear bags in many sizes, or you can even take a Ziploc bag (if the item won’t be submerged). 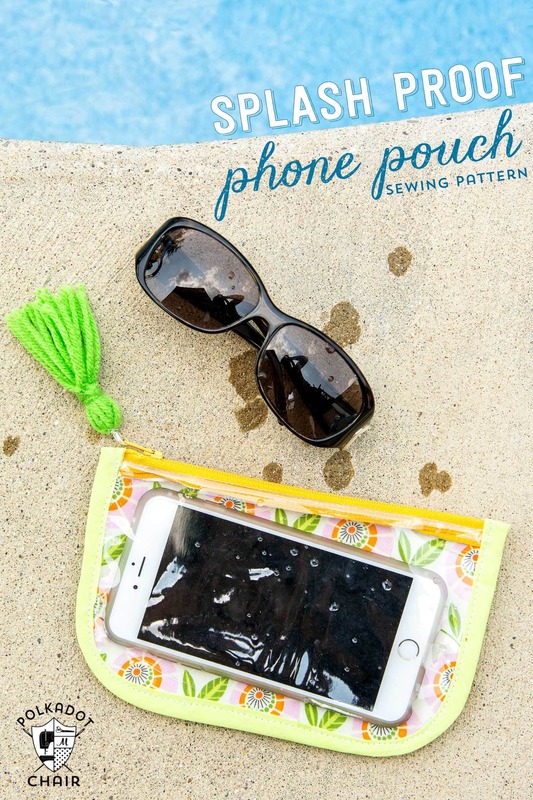 If you’re like me and you like to “travel handmade” then you can easily stitch up your own Splash Proof Phone pouch- this one is not waterproof but does have a clear cover (you can still use your phone) and will protect your phone from sand and splashes poolside. 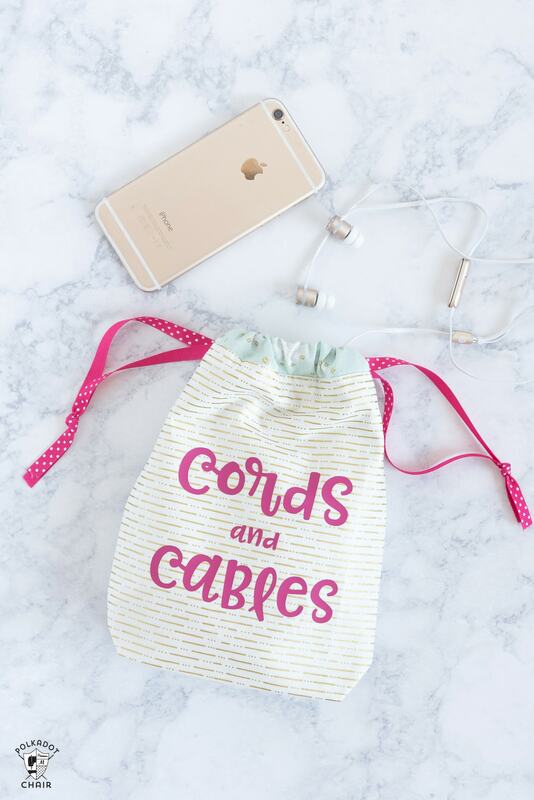 Anyone who’s traveled knows that the cords and cables can get OUT OF CONTROL. I like to use these simple cord ties to keep things in check. 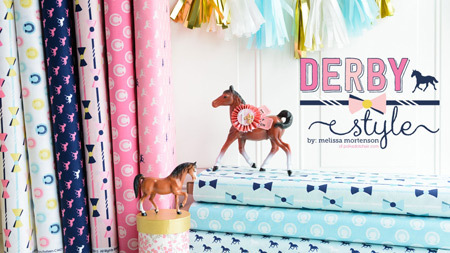 It makes a big difference when your cords are wrapped up properly. I also have a series of pouches to carry items in. I have pouch like the one below in my purse to keep a phone charger and backup battery handy. Okay, this is a tip from a friend and I can’t wait to try out on our next cruise. Cruise ship rooms are small and get messy easily with 4 people in one space. 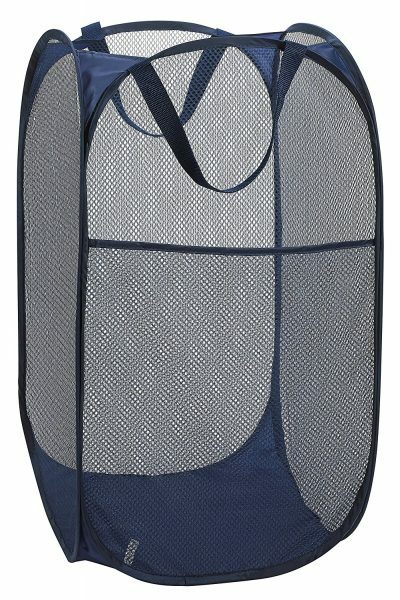 This hamper folds flat and is lightweight. You can use it in the cruise cabin for dirty laundry, towels, extra sweatshirts etc. You can also use it to tote beach toys back to the room with you (the sand will fall through the mesh). 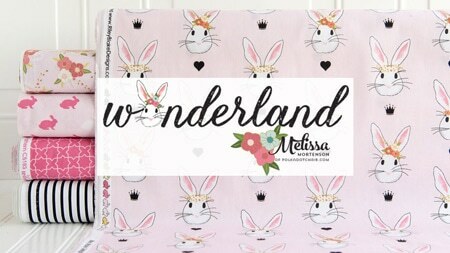 This is another item that I can’t wait to try out on our next trip! Buy an over the door shoe organizer and hang it on the back of the bathroom door. You can use it to store everyone’s toiletries and keep the counters clean. You can also use it in the closet for small accessories, chargers, and other miscellaneous stuff. There are no irons in cruise ship rooms. There are usually irons in the laundry rooms but there is sometimes a wait to use them. My kids could not care less if their clothes are wrinkled, I, on the other hand, do care. 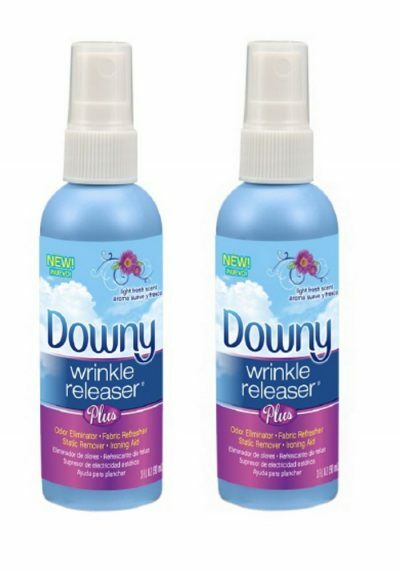 This wrinkle releaser is not as good as an iron but will help you out a bunch in a pinch! Depending on the cruise you are on, there may be soda machines or not. If you’re on Disney they have soda machines with VERY small paper cups. If you want to avoid 50 million trips to the soda fountain, pack your own refillable bottle. 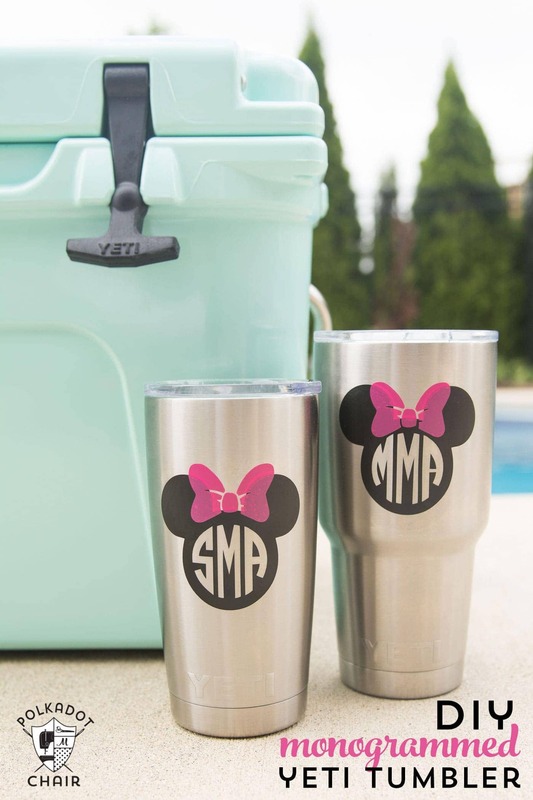 I created this YETI tumbler for our last Disney cruise and used it all week. Also, bottled water is expensive on cruise ships. If you’re like me and you like to have water by your bedside at night, then make sure you pack a refillable water bottle. You can get ice for free from the bars. I like the ones with a built-in filter. On most all cruise ships your luggage is delivered to your room – which means there may be several hours while you are on the boat that you don’t have access to your stuff. 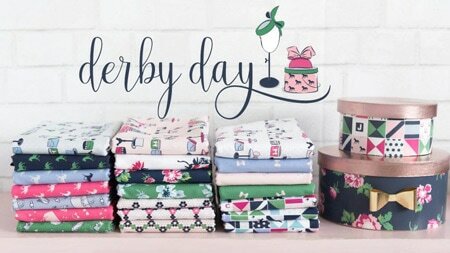 It is wise to pack a small carry on with your “day” essentials. 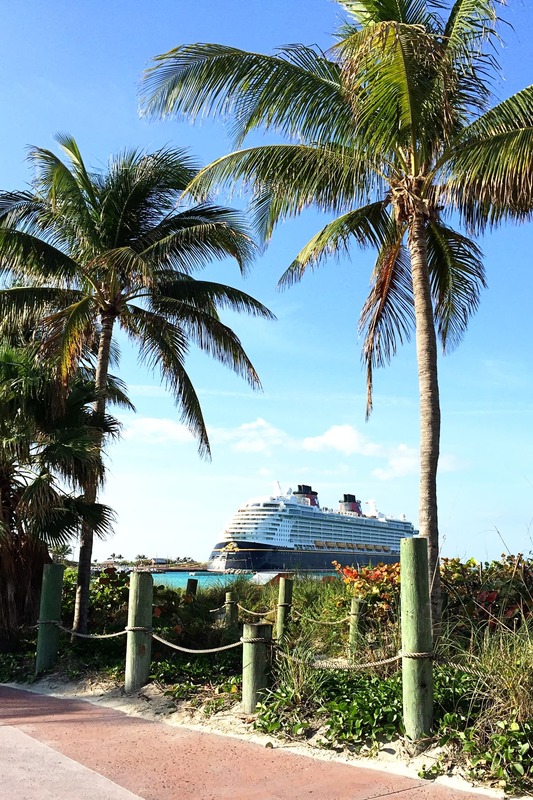 If your cruise is somewhere warm, then you’ll want to pack a swimsuit, flip flops, and sunscreen. That way you can enjoy the day on the boat! 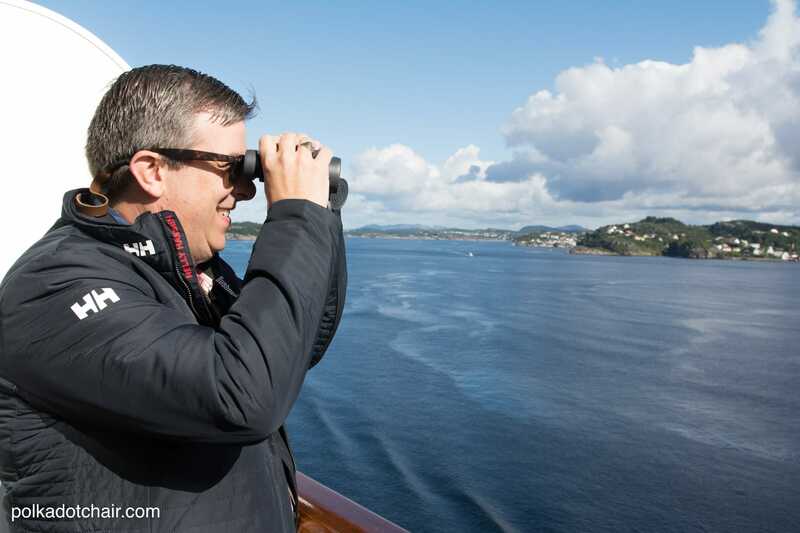 Depending on your cruise location, you want to make sure you pack a day bag for excursions. If you’re just going to the beach for the day then a large beach bag will do. 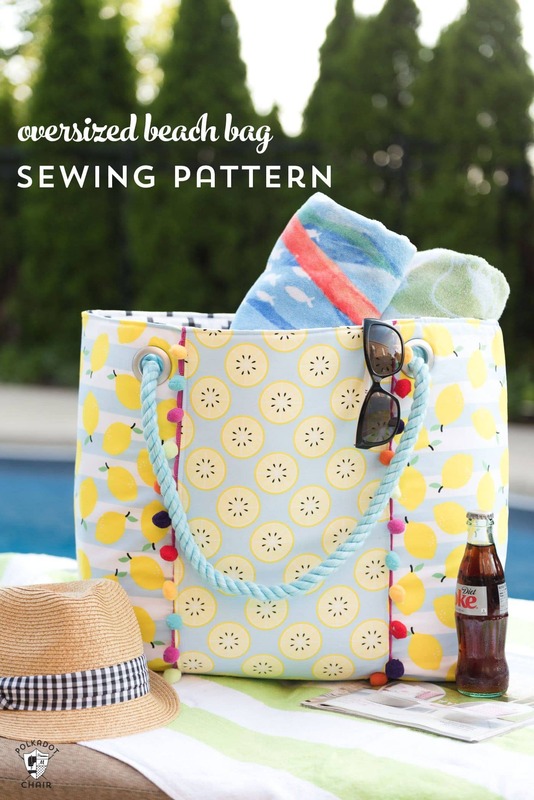 This tutorial for an oversized beach bag would be great to take since it’s lined with foam. It can collapse flat for packing. If you’re traveling to a city, you’ll want to have a secure bag to take with you. We have liked these sling backpacks. They keep your stuff close by. 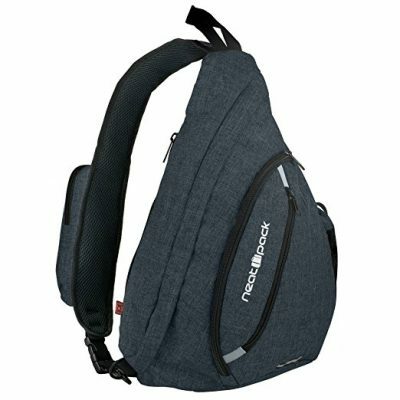 We also like the Pacsafe Brand of Bags – find them here- these bags all include lockable zippers and cut proof handles. Most all cruise ships are cold. They keep the air cranked way up and I’m always freezing. 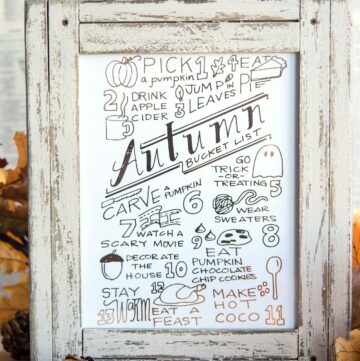 I make sure to take along a lightweight sweater and shawl. I’ve found a small blanket is also useful. We use it during the day in our cabin when we don’t want to “un make” the bed, but want something to snuggle up with. 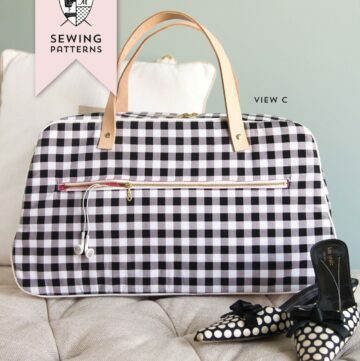 The “On the Go” Roll Up Travel Blanket from Project Teen – includes a strap to sling it over a carry on bag – pattern can be found in the book. It’s really lightweight and has been with us on many cruise ships and airplanes! That’s my short list! Did I forget any “unexpected” thing? Let me know in the comments section! 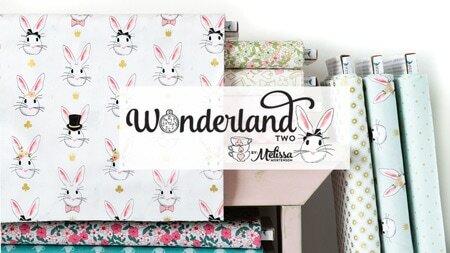 That was a great post Melissa! My husband and I just got back from a cruise and your list is very helpful. This was #7 for us so we’ve learned from our experiences too. One thing we brought on this cruise and the last one is called a dry sack. Mine is a SealLine brand. They are very lightweight and take up very little space but are invaluable for any days you’ll be in the water. We were able to fit our wet suits, water shoes, beach towels, swim suits and snorkels all in the dry sack for the trip back to the ship! All the wet dirty stuff in one place! Thought I’d share as we found this a really useful item to have! I love this! I will be going on a cruise this summer and I am definitely going to use this! I’ve been on a few cruises and leaving for one in 4 days. I made a list of a few things I wish I would have taken on them early on. Your list is great, thanks! My addition is an umbrella! Just in case it starts raining while we’re off the ship. We learned that the hard way LOL. Thanks! Thanks for this post. 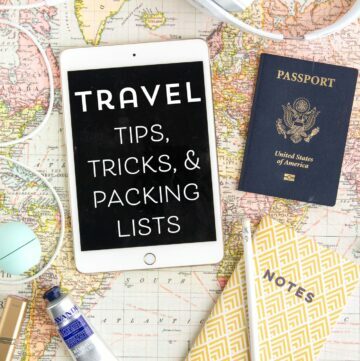 I am a seasoned traveler and I also use lists constantly before any trip. My basic rule is never to hope for one’s memory (of course, I have no physiological problems). To ensure that your trip does not end with an airport forgotten tickets or something similar, I always make up a list of things. I am inspired by your trip to Norway, I also heard that such cruises can be much cheaper than regular tourism in the country, especially so expensive. Did you use a tour agency?